Welcome to the Petclub.com blog. I will be keeping you entertained with plenty of pet stories, useful tips and news from my time so far working as a student veterinary nurse, my own crazy feline and also interesting animal news from around the word. I am currently studying as a veterinary nurse and work 3 days a week at a veterinary practice in the UK. I love my job there and it’s amazing to see how many animals we see and help everyday! The job can be very hands on and challenging but the rewards are always worth it, it’s great to know everyday we are doing our bit to help animals in need. What you probably didn’t realise is that vets and nurses see around 50 animals per day, so our schedules are always pretty hectic. We treat our patients for a number of things from routine check-ups to leg amputations! 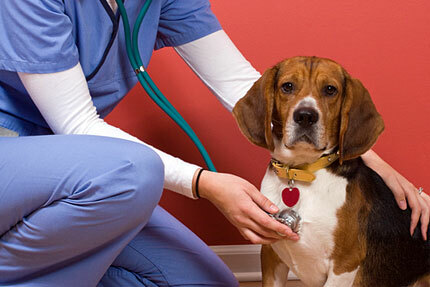 Whatever it is, we do our best to put our furry friends back in good health. We love being able to help people’s pets and we always put our patients wellbeing first. We as nurses have a demanding role which can sometimes be quite risky; we get bitten, scratched or kicked by 1 out of 4 animals we see. Although veterinary practices are a friendly and welcoming place, sometimes our patients don’t always think so! I think my favorite thing about working in a veterinary practice is the heart felt gratitude and relief when you are able to make someone’s pet healthy again. After all, our pets become part of our family! Our vet Tizzy gets flowers and chocolates from his clients very regularly, especially from the older ladies! I think they have taken a special shine to him :-). He loves being able to help their pets, and they love him back for it. I look forward to sharing my stories and advice with you based on my pet experiences so far. Feel free to comment on my posts and I will try and reply back to you. Also, why not follow the blog via email to receive my updates automatically, this way your pet related problems can be resolved in no time!